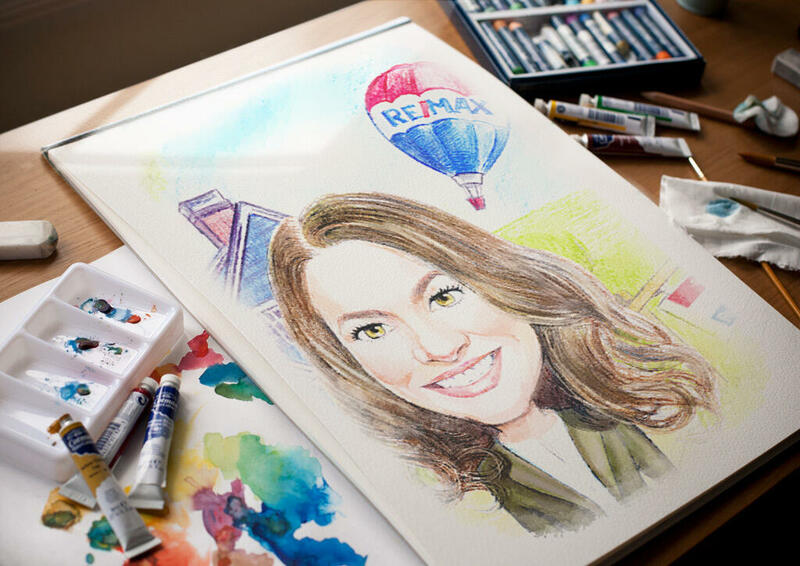 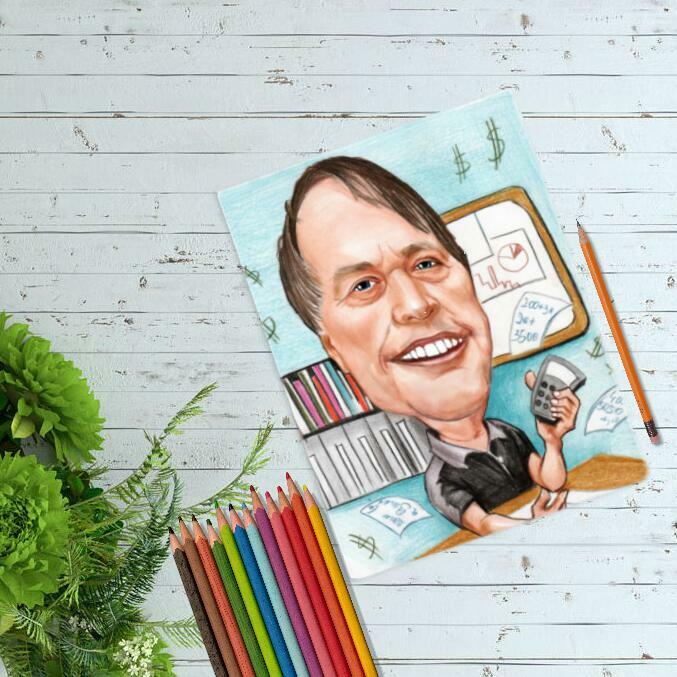 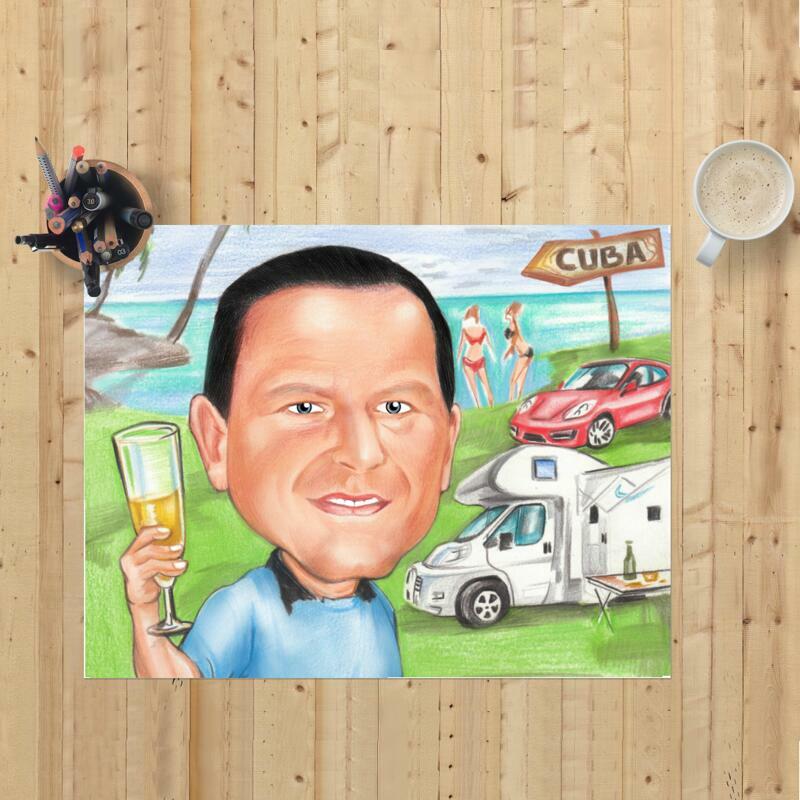 Get a beautiful caricature drawing of yourself or another person, who will be hand-drawn from regular photo in colored pencils style with a bright custom background of your choice. 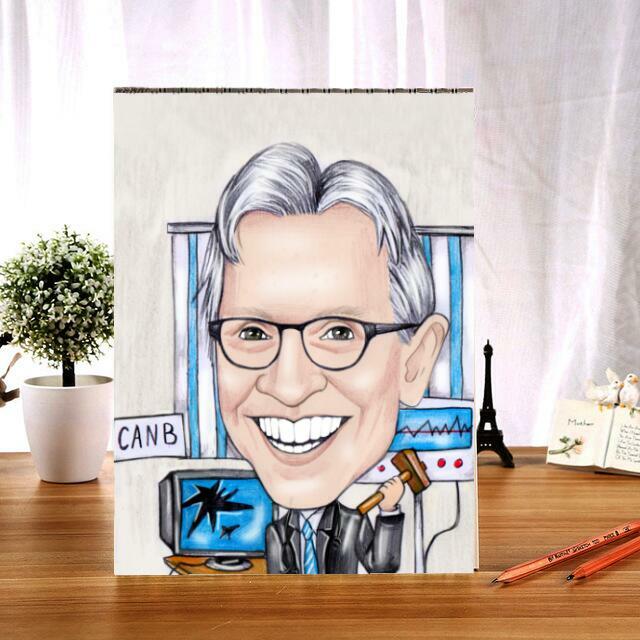 Caricature of one person will be ready within a week, depending on complexity. 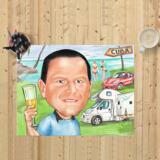 Photolamus can draw any idea on your caricature. 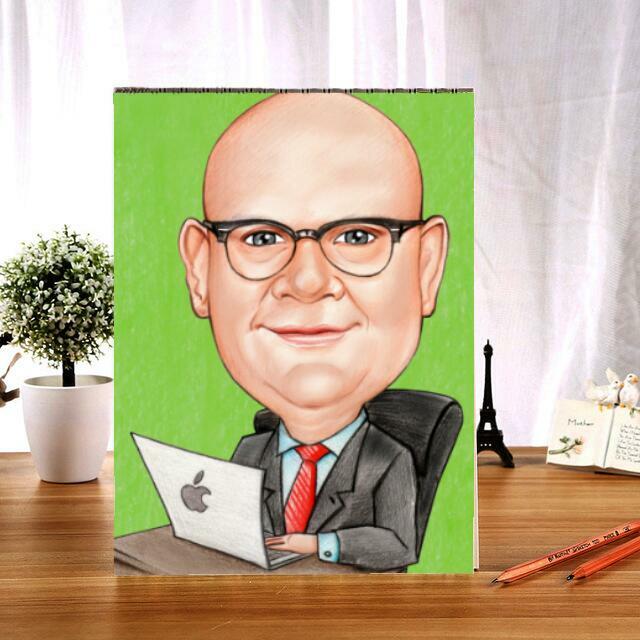 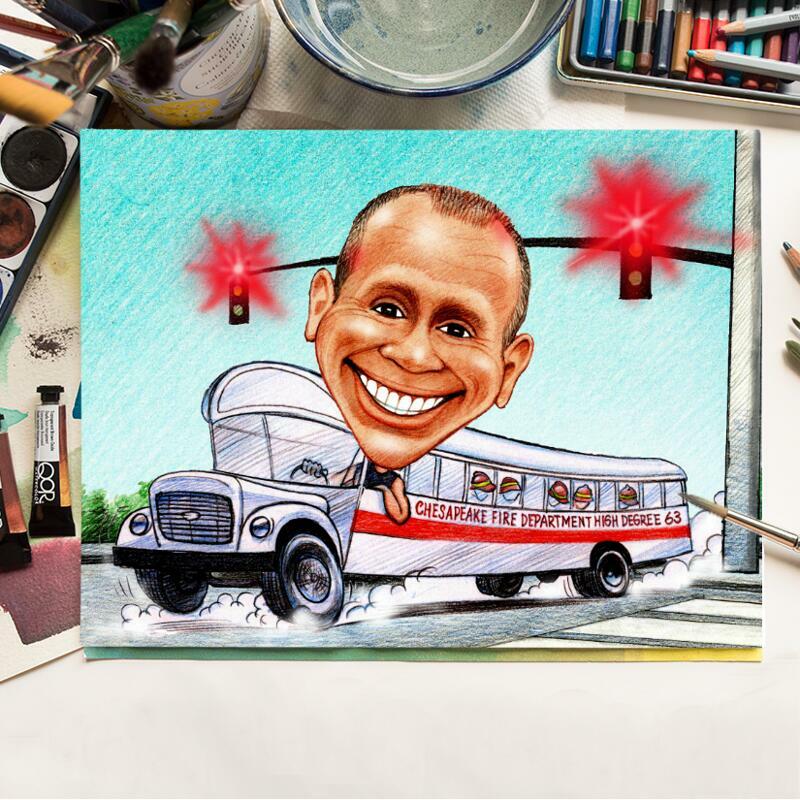 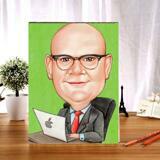 You can select any of our themes and we will design your caricature with a unique concept. 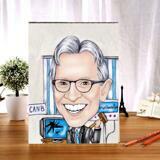 We can draw a caricature in a professions, sports, hobby theme. We can add a nickname or business logo on your drawing. 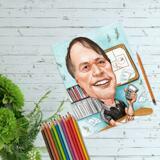 Mention the main purpose of drawing this caricature and Photolamus will try to draw it brilliantly.